This gorgeous girl is Liberty Belle. 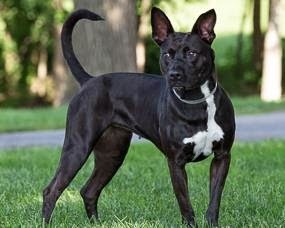 She's a 3 1/2 year old Pit Bull Terrier mix. 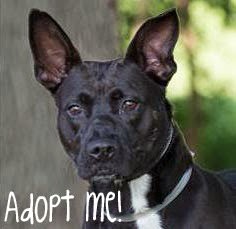 She was transferred to Wayside Waifs from another shelter that was running out of space. These days she's one of the Waif Runners and she loves doing tricks. I bet you're here because you saw that gorgeous picture of me, right? Well guess what?! I am pleased you stopped by! My name as you can see is Liberty Bell. 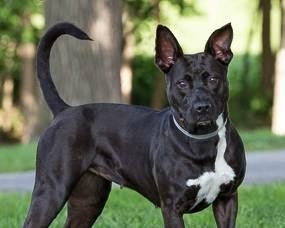 I'm a 3 year old American Pit Bull Terrier mix, and let me just say I'm an energetic sweetheart! I was transferred in from another shelter because they were running out of space, but I just know I'll find my forever home soon! Since I haven't been in a home for a while I'll definitely need some reminding on my manners while in a home, but if you'll have patience with me we can do it together! I bet you can tell by looking at me that I have a lot of muscle. Here at Wayside I'm on the team of Waif Runners! They say if you want an endorphin rush to run with me! I'm awesome, focused, have plenty of speed AND endurance! I'm all business on a run, which shows how amazing I am on a leash, even when there are barking dogs I'm more focused on the finish line. I do know a few tricks too! I know sit, down and even how to stand on my back legs and walk just like a person! They say I need to meet all new family members before going home, but I can't wait! Don't forget to bring any canines you already have to meet me too! Well, that's all for now. I can't wait to get started on my new life! What a beautiful girl with her long ears. Sharing. Such a pretty, pretty lady. We will share her too. She's beautiful, I love her little white feet as she's walking. Sharing. Liberty Belle is gorgeous! Hope she finds a good home that can take her running daily. Good luck finding your forever home, sharing. She is beautiful and I love her name! Sharing. Love those ears! I hope she finds a happy home soon...sharing.